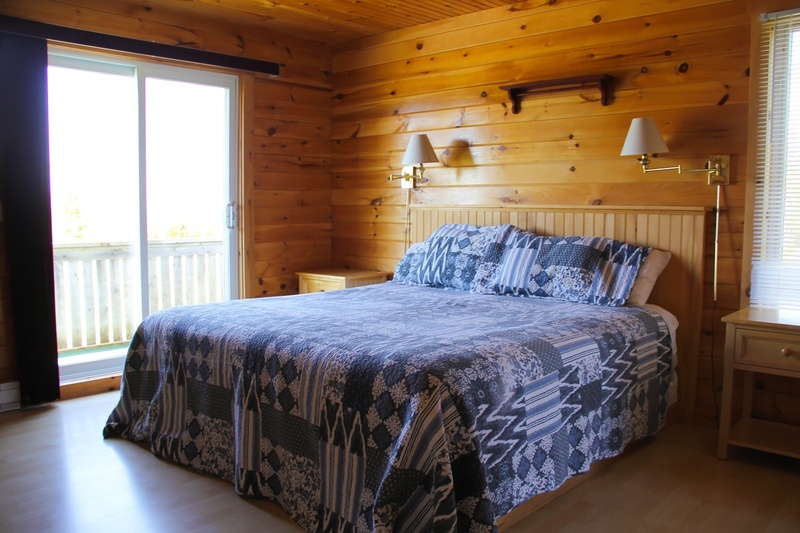 Beautifully decorated with comfortable rooms. 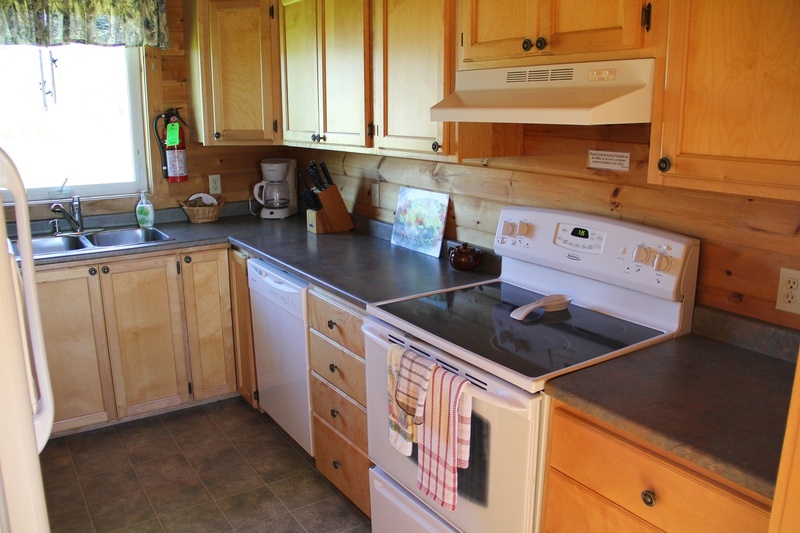 This unit sleeps up to 12 to 14 guests. 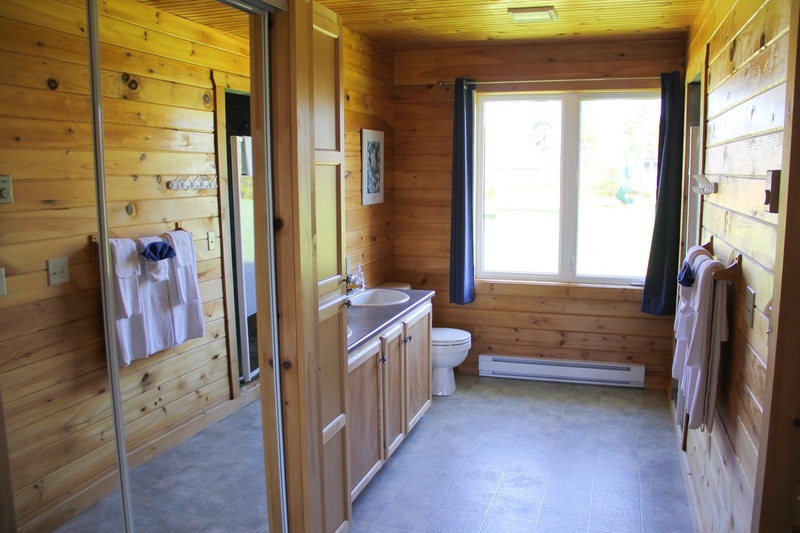 This unit is priced according to group sizes. 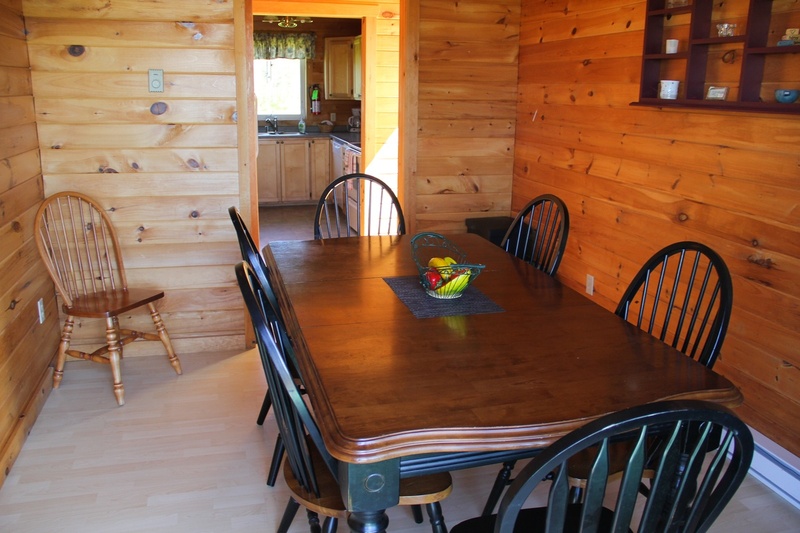 Please phone for rates. 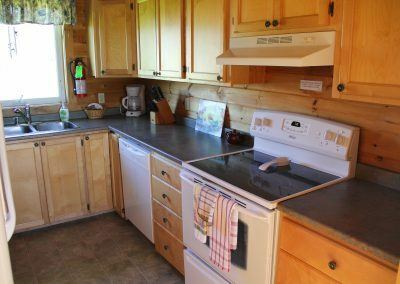 Side by side fridge with ice maker, full range stove with oven, microwave, coffee maker and all cooking utensils including pots and pans. 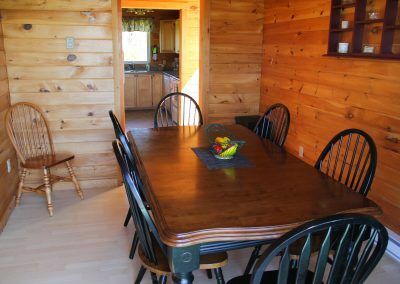 Large table for seating up to 10, patio door leading to front deck. 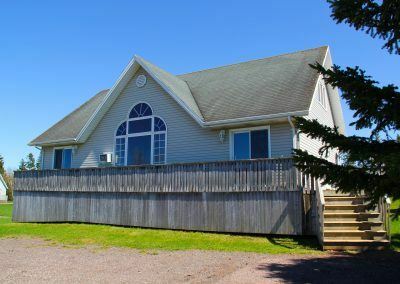 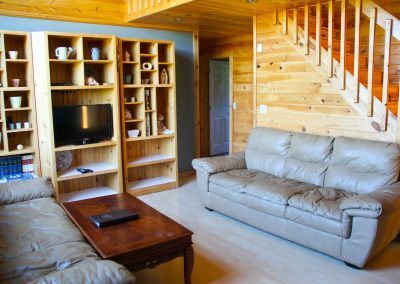 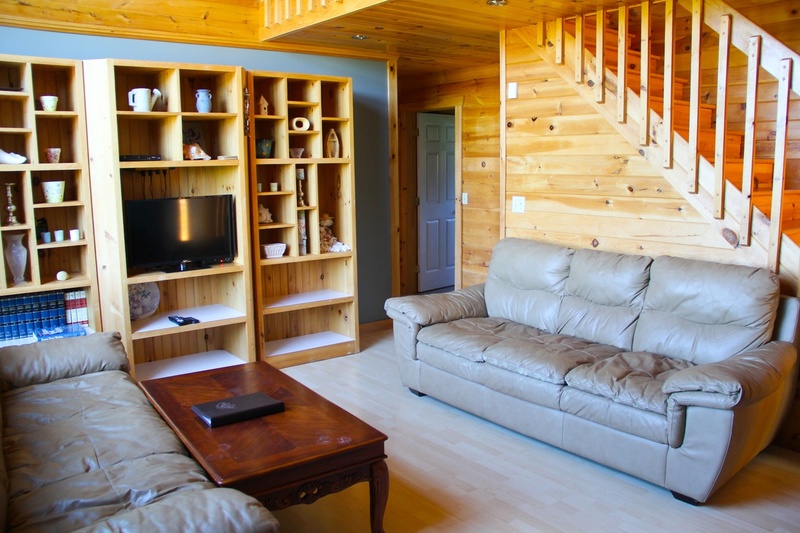 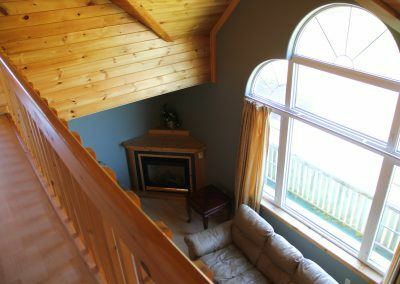 Beautifully decorated with 2 leather sofas and matching chair, corner fireplace, beautiful hand made pine entertainment centre, 27″ TV, DVD, air conditioning, telephone, high speed internet. 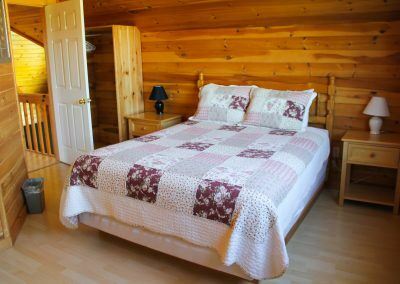 Comfy King size bed with solid pine headboard, matching pine dresser and night stands. 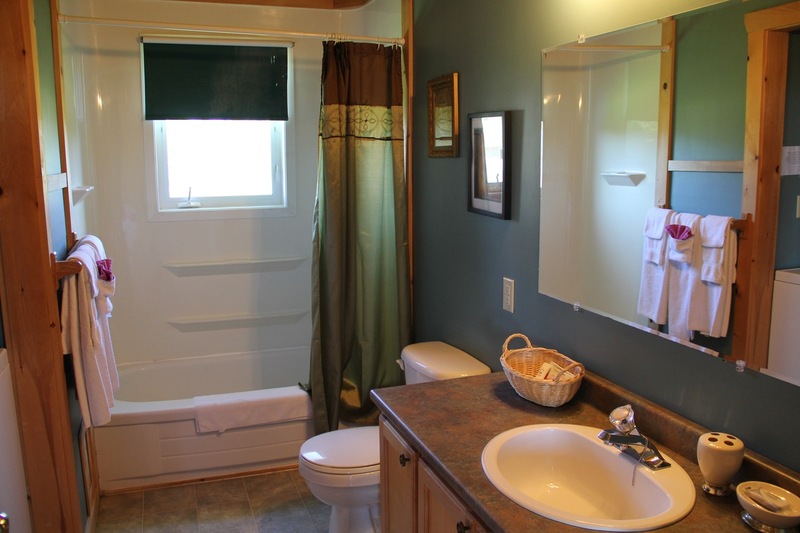 Large private bathroom with his and her’s closets, double vanity with sink, toilet and double shower. Patio doors lead to a front deck. 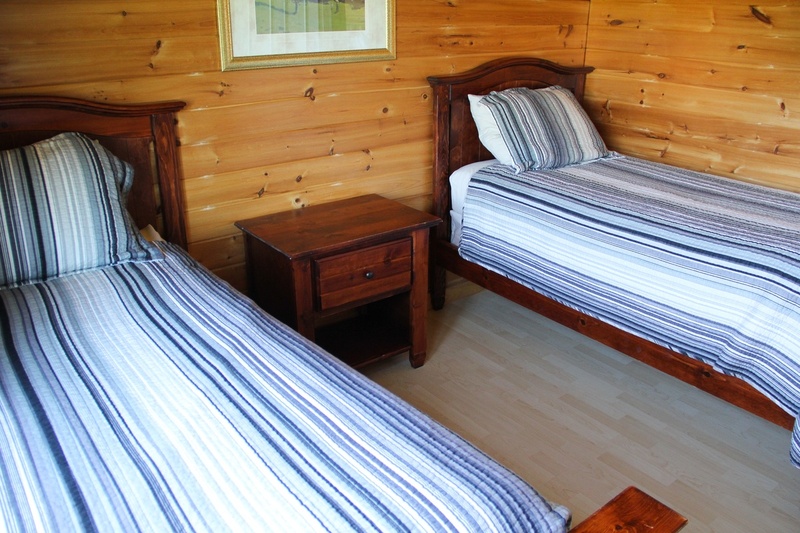 Queen bed, solid pine dressers & headboard, beautifully decorated in country charm. 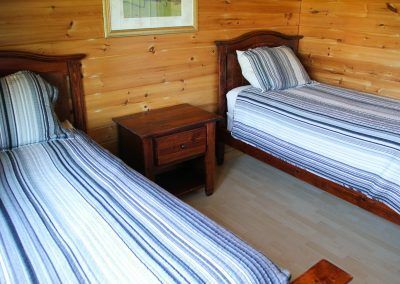 Two twin beds, double dresser, beautifully decorated in country charm. 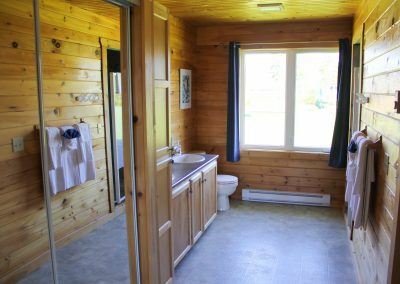 4 piece bath with shower, toilet, sink with vanity and washer & dryer. 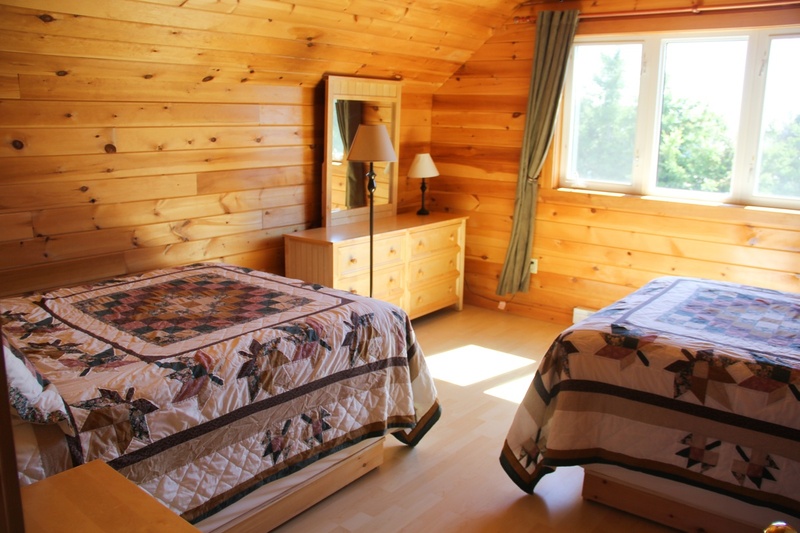 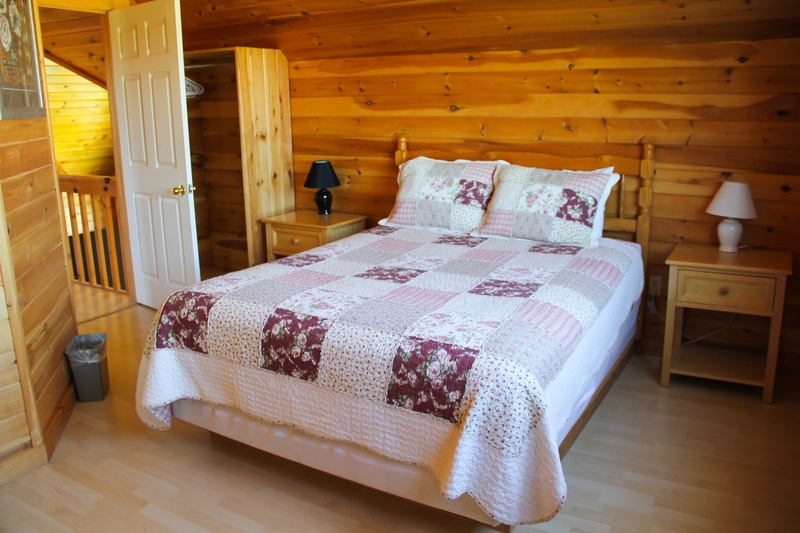 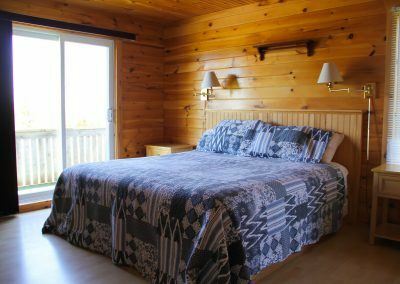 Three beautifully decorated rooms, two with queen size beds, and third room with two doubles. Ceiling fans in all rooms. 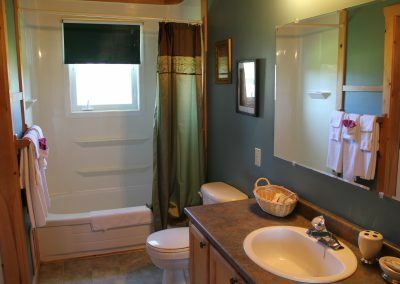 New 1/2 bath with toilet & sink.